Every year, when the holidays come around, I always get a hankering to bake! Whether it’s cookies, muffins or savory dishes, I always want to make it all. 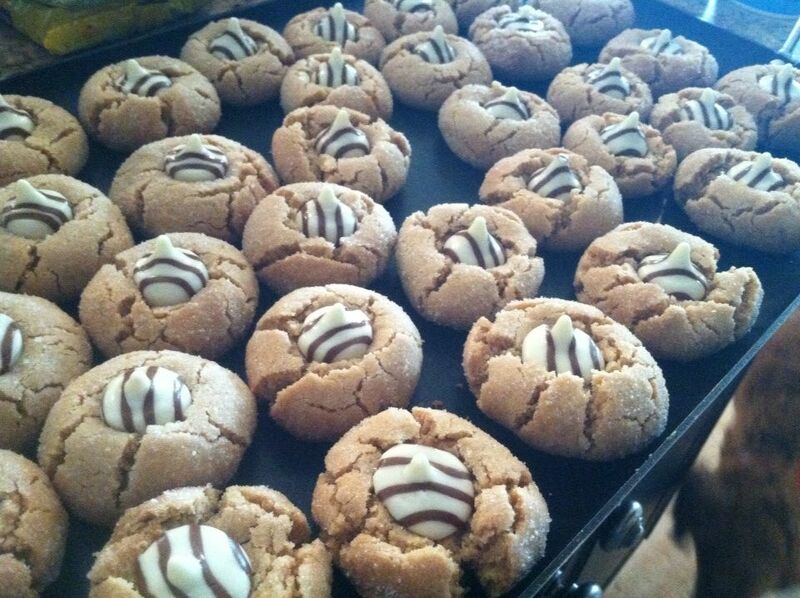 My favorite cookie of all time are peanut butter blossoms, how can you go wrong with peanut butter and chocolate? I’m not a fan of butter when baking because I feel like it makes your cookies or muffins taste buttery, I like for my baked goods to taste like the flavor I intend for them to taste like. I replace butter with coconut oil in a 1 to 1 ratio and am always amazed by the delicious flavor and outcome of the texture of my cookies! 1. Preheat oven to 375 degrees F. Line two baking sheets with parchment paper. 2. In a large bowl, cream together coconut oil, peanut butter, brown sugar, and 1 cup white sugar until smooth. Add in the eggs one at a time, beating until fully incorporated. Mix in milk and vanilla. 3. In a large bowl, combine flour, baking soda, and salt. Gradually add to the peanut butter mixture until well blended. 4. Shape tablespoonfuls of dough into balls, and roll in remaining white sugar. Place cookies 2 inches apart on the prepared baking sheets. 5. Bake in preheated oven for 10 to 12 minutes. Remove from oven, and immediately press a chocolate kiss into each cookie. Allow to cool completely; the kiss will harden as it cools. These cookies are pretty simple which makes baking with toddlers or young children a breeze. My favorite part of making these cookies is rolling the dough in the excess sugar! If you wanted to get really creative you could use red or green sugar to coat the cookies or use a holiday flavored chocolate candy. 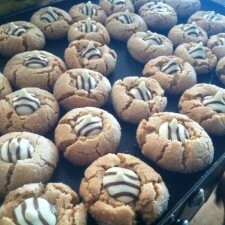 You and your family will not be disappointed in the flavor of these cookies, I guarantee they will be a huge hit. Share your favorite cookie recipe below!